Hey guys! 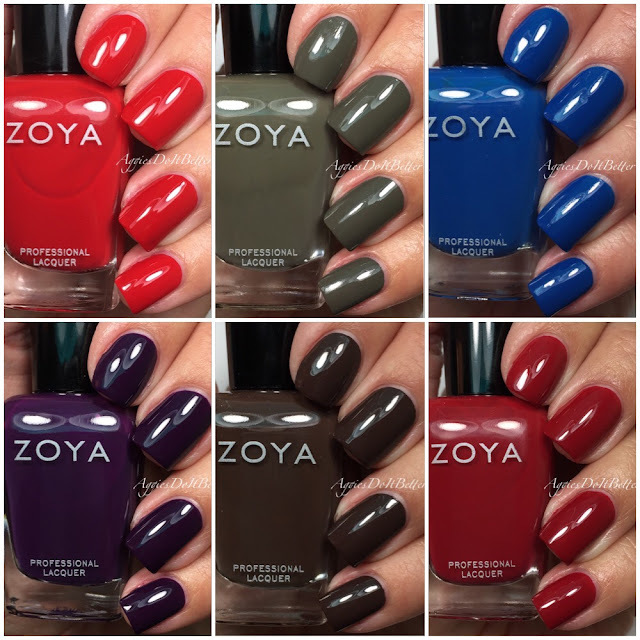 Today I have the first half of Zoya's fall collections! The Focus collection is 6 crèmes in rich fall colors. 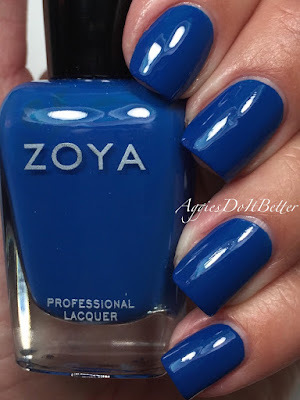 Zoya almost ALWAYS hits it out of the park with crèmes, lets get right in to it! 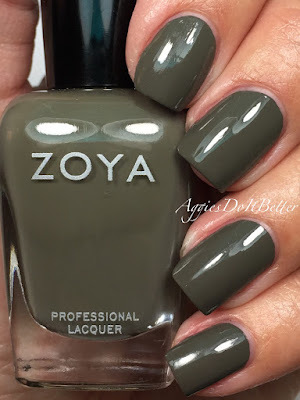 Some of my swatches have topcoat and some don't, I'll let you guys know! 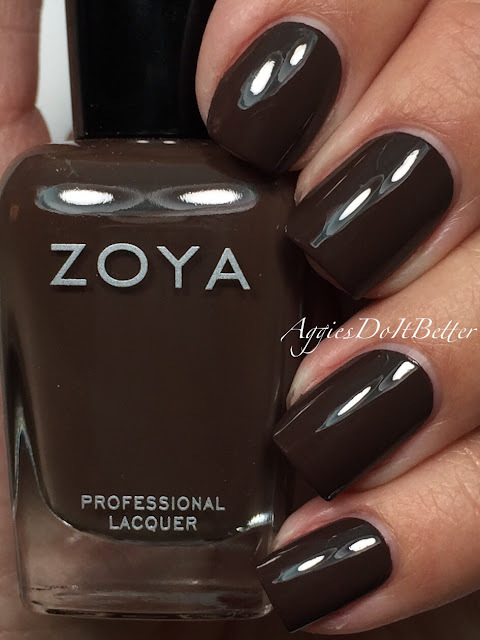 These crèmes are so shiny you barely need topcoat, if nothing else for quick dry time! This is Hannah, a cherry red. The formula on this was amazing, almost one coat, seriously. I did two but it barely needed it. 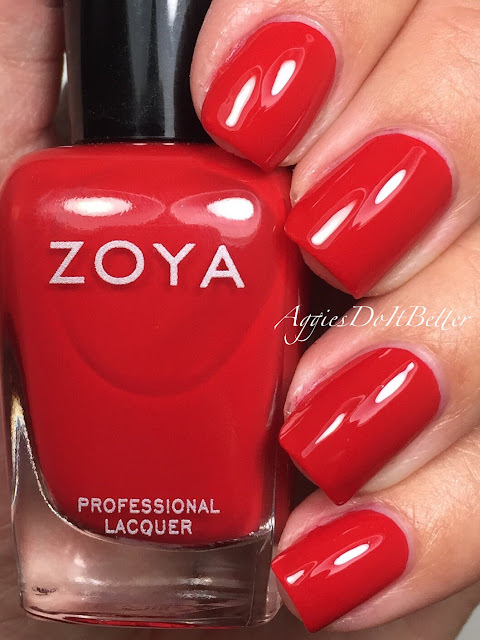 I'm not a huge red fan but this felt really wearable for me. 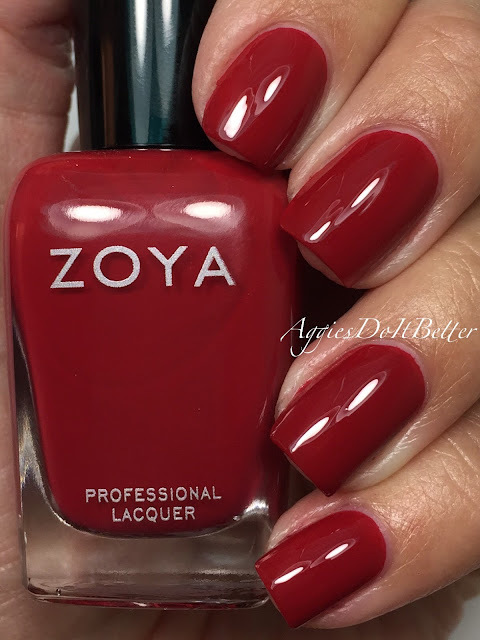 I recently just wore a full red mani for the first time ever! Topcoat is HK Girl. Lidia is a deep eggplant purple. Little thinner formula on this one but was completely fine in 2 coats. 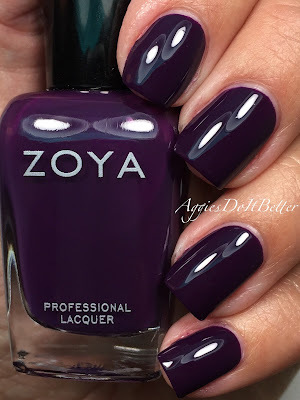 I really love dark purples like this on super short nails! No topcoat here. Charli is a olive-y camo green. Guys....this is ONE coat! Seriously. Perfect formula. No topcoat. Janel is a darker fall red. Another perfect formula, so buttery it practically applied it self! I wrote that in my notes, haha! No top coat here. I will never tire of brick red shades. Desiree is a dark chocolate brown. I have a few browns like this from Zoya and they are all great! 2 coats, no top coat. Final thoughts: none of the colors in this collection are super original, but are good fall staples if you don't have them already! My picks are Sia, Hannah and Charli!